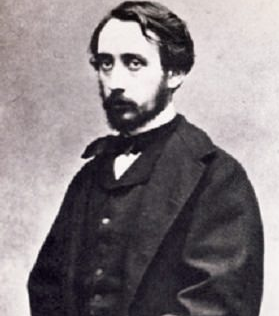 Edgar Degas started his life in art as a copycat. He began by visiting the museums of Paris and copying the paintings of the Old Masters. He joined with a group of artists that changed the art world of Paris with their new ways of painting, which critics called Impressionism. Degas despised the term, thinking they should have been call Realists. Let’s take a peek at what Meet the Masters students learn about Edgar Degas. What do racehorses and ballerinas have in common? Degas was fascinated by their movement, which he spent many hours studying. 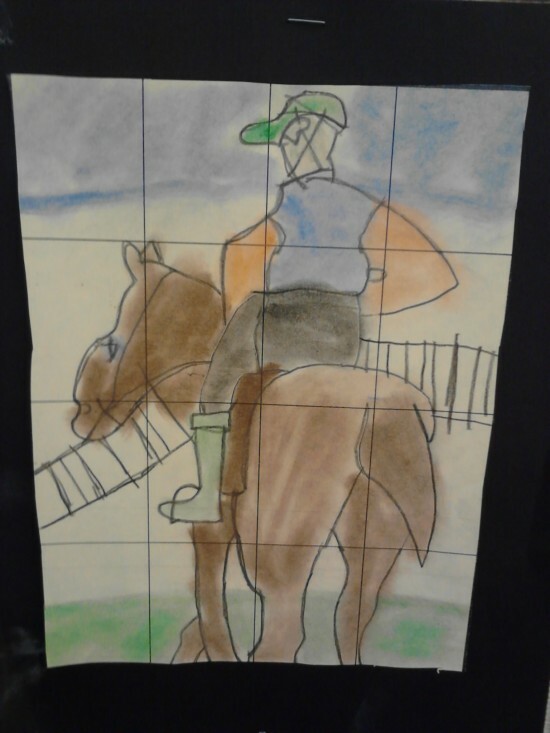 He started with race horses and jockeys, experimenting with different ways of capturing their movement, such as overlapping to create a sense of space, and positioning the horses asymmetrically. The movement that truly captivated him was dance, so he embarked on an intense study of ballerinas and ballet. Degas was also intrigued by the new art of photography, and how it could capture a casual moment when people did not realize they were being watched. He sketched dancers in many different dance positions, then took his sketches back to his studio and experimented placing his subjects in various locations on his canvas. Next he painted a dance studio around his dancers. He used grid lines to help create space and size to make the painting look realistic. He used depth and a unique cropping method to make it look as if he had snuck in and taken a picture while the dancers were doing different things and paying no attention to him. When we see his paintings, we feel as if we just happened to look in at an unexpected moment. 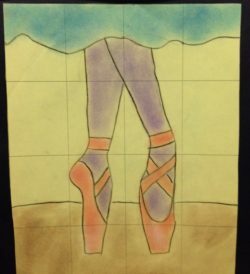 Students follow the drawing secrets of Degas with worksheets designed to teach his techniques of perspective and composition. Using Degas’ grid lines, they divide their drawing into sections. Each section is a small segment of the drawing, so fewer lines makes it easier to draw. 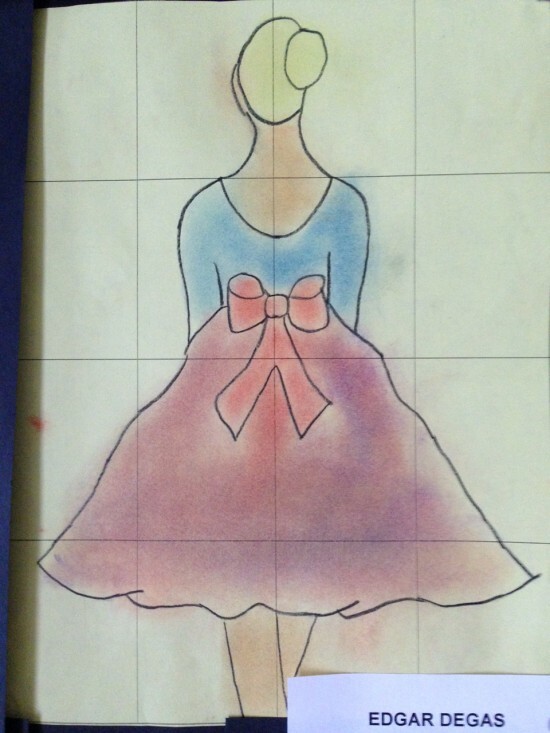 Older students select a graceful ballerina or a powerful horse and jockey for their final project, the younger students draw bows as seen on ballerina dresses. Before beginning their own Degas masterpiece, students review the art technique he used in his paintings, which involved drawing grid lines on his small sketches to help him enlarge the images onto his canvas. Meet the Masters students are provided with pastel paper that includes the grid lines. They carefully study the sections of their selected picture before transferring them to their canvas. Concentrating on one section at a time, they trace over each line with their finger to get a feel for the shape and length of the lines they will duplicate. Slowly and delicately they complete each section, making any personal changes they desire until they are satisfied with the results. They draw over their sketched lines with special black pencils, pressing firmly to make the lines stand out. 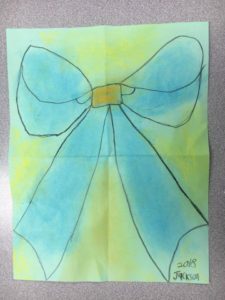 Using a special technique, they add a chalk stain to their artwork, blending with a tissue until their creation looks like a beautiful Degas pastel painting. Degas was very careful to draw exactly what he saw and depict his subjects in a natural setting. He would be very proud of our students today! 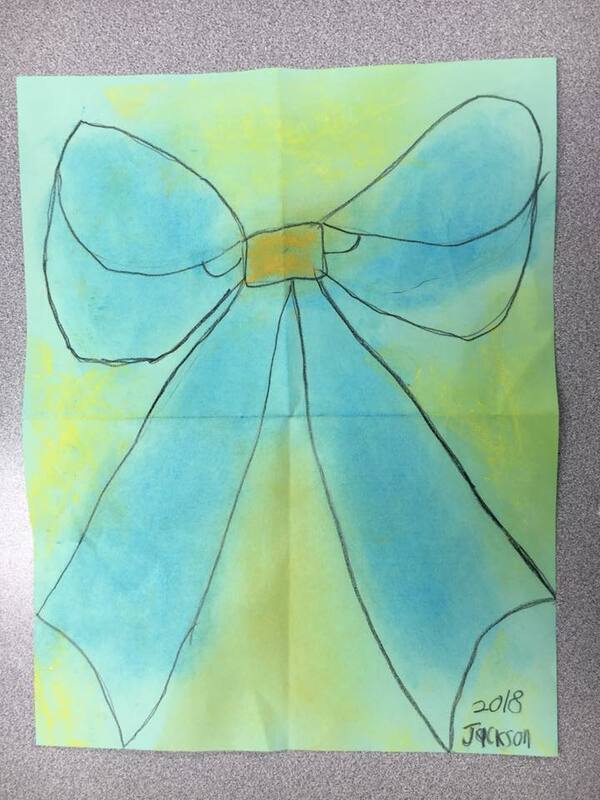 Learn more about our Degas art projects.